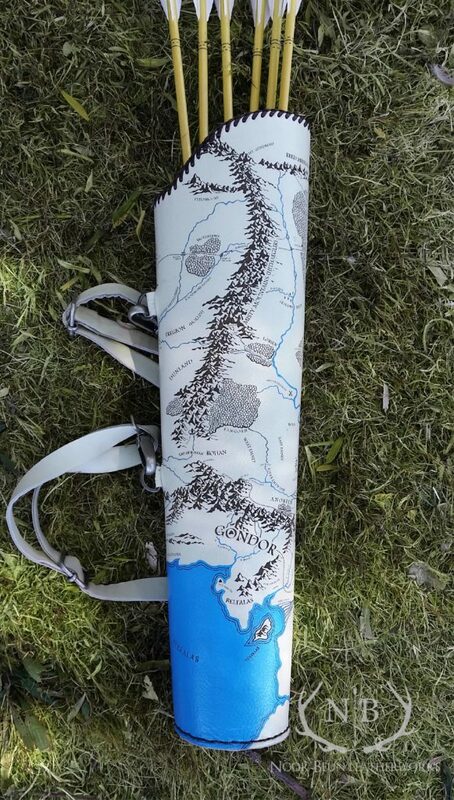 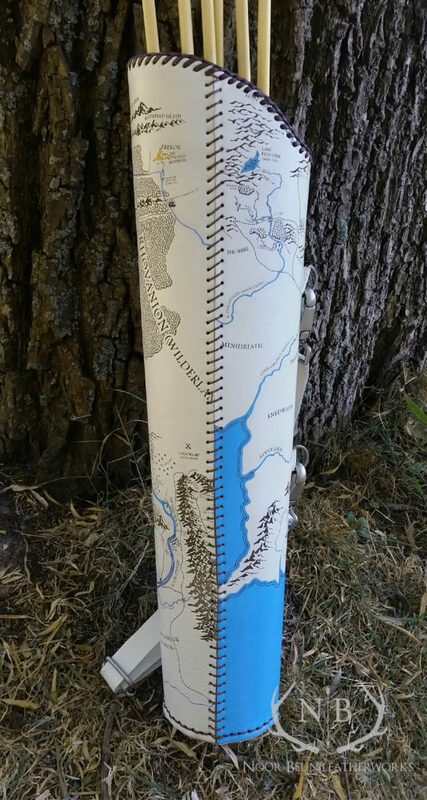 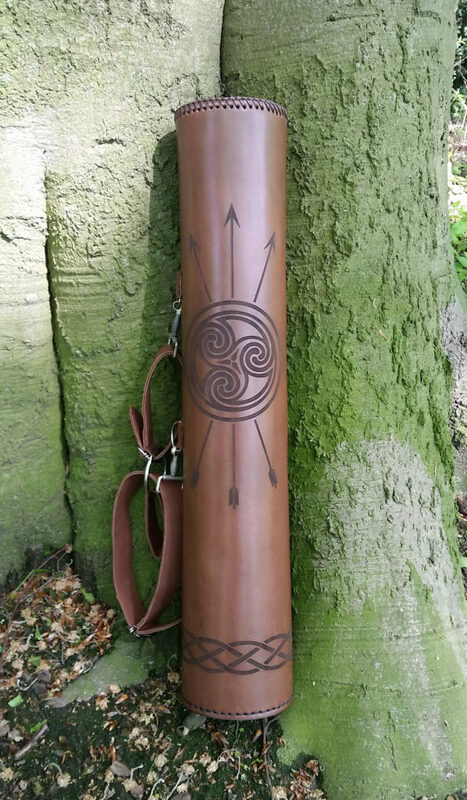 A white leather engraved with 80% of the Lord of the Rings map, made as my own personal quiver (not for sale due to copy rights). 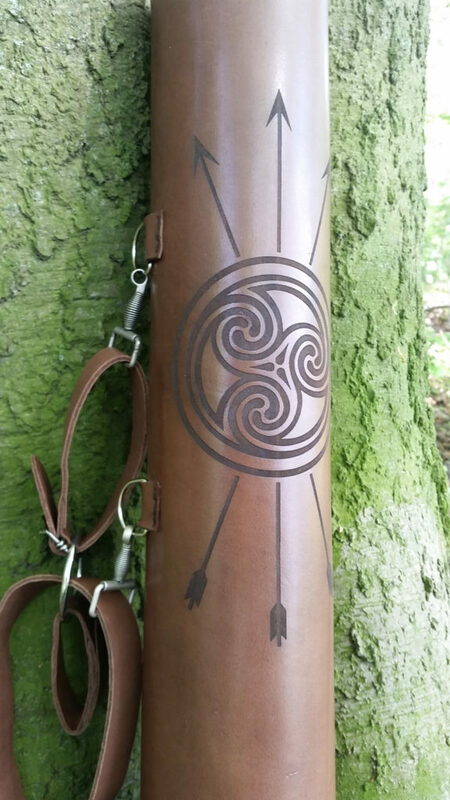 A soft brown suede leather, engraved with a classic celtic knotted pattern at the botom and a triskelion. 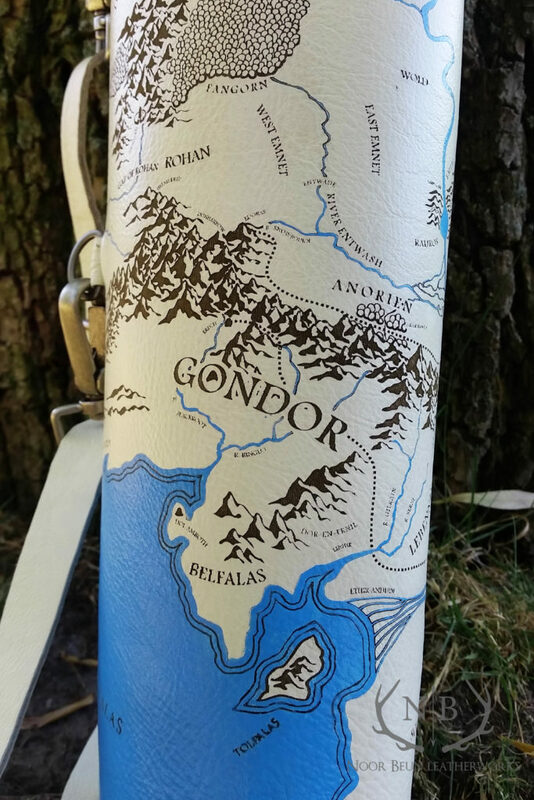 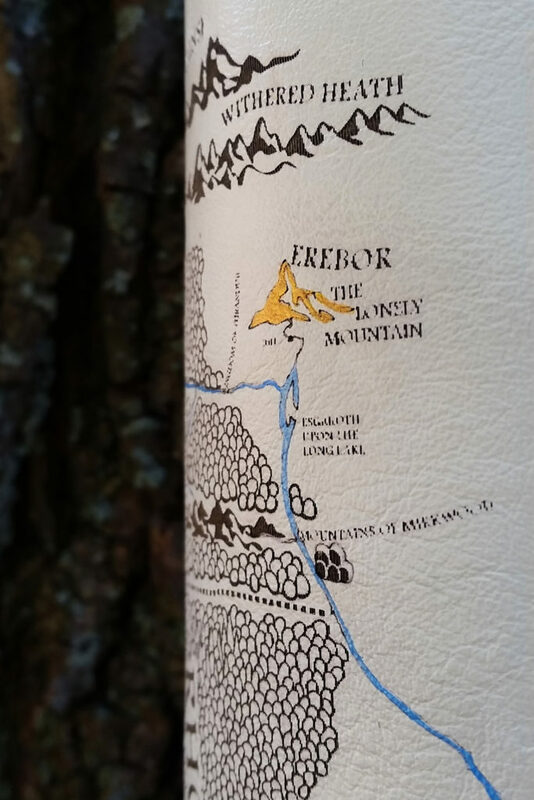 A brown, almost texture-less leather engraved with the map of Middle Earth. 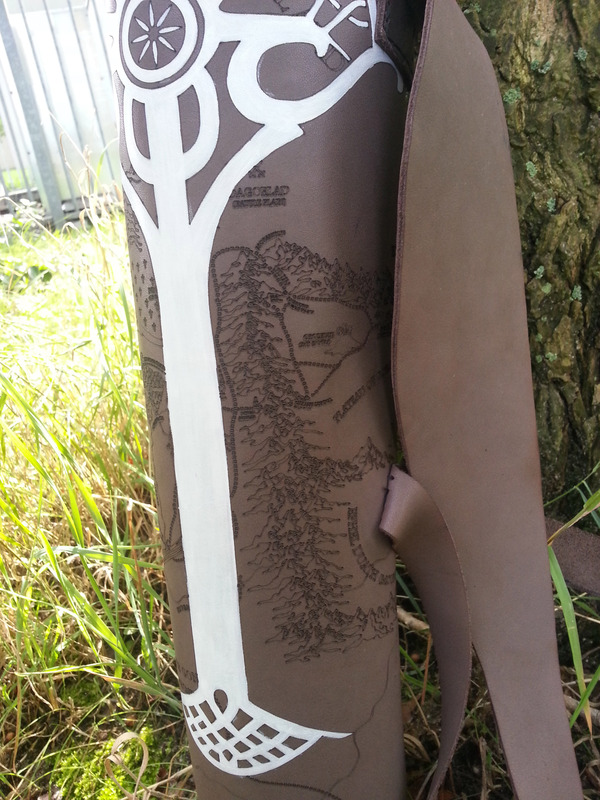 On the center the White Tree of Gondor has been painted on by hand, with white detailing all over the quiver. 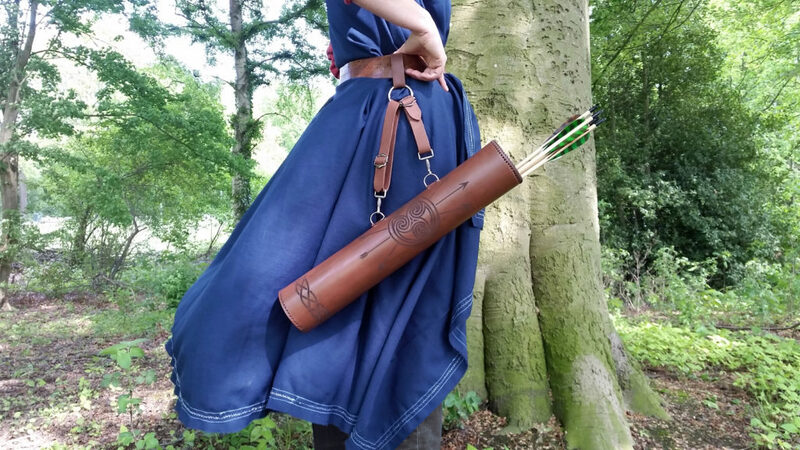 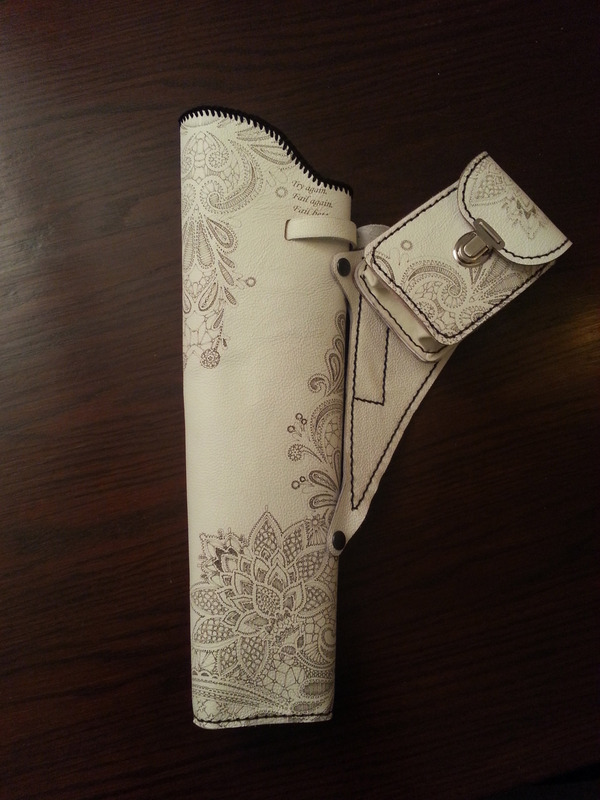 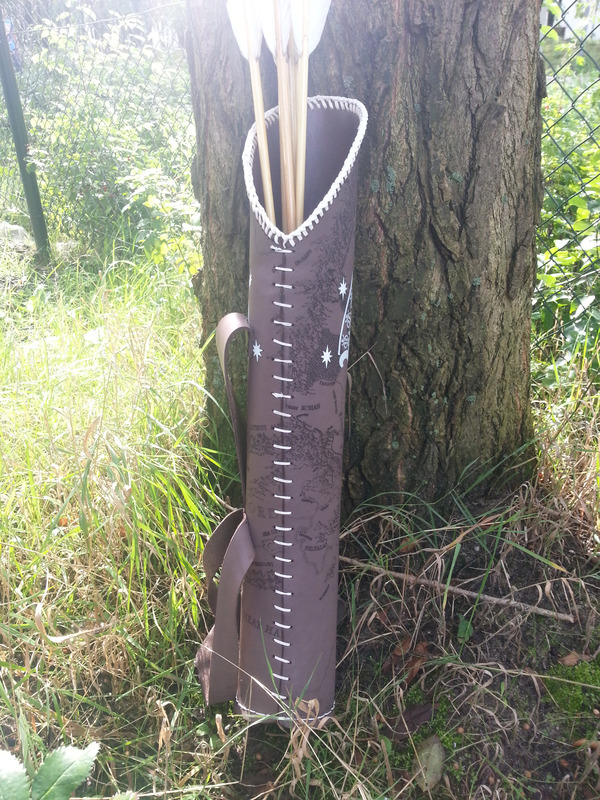 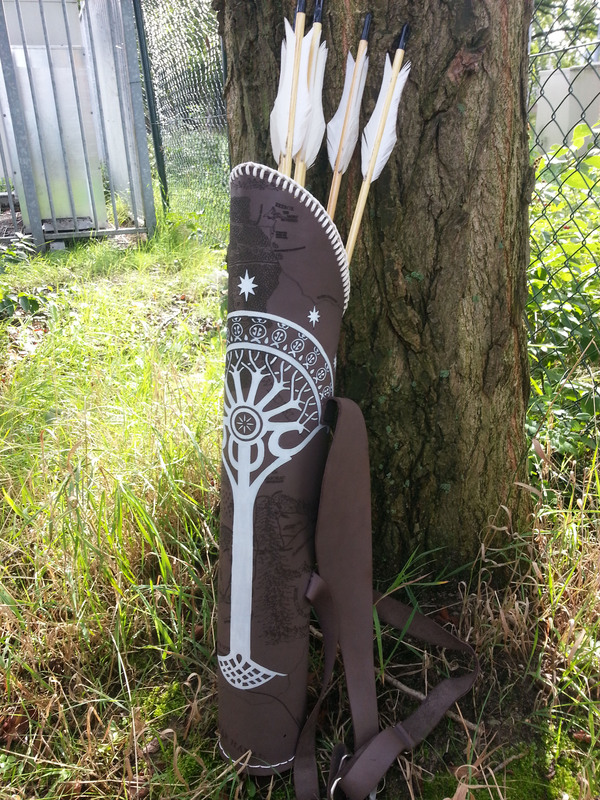 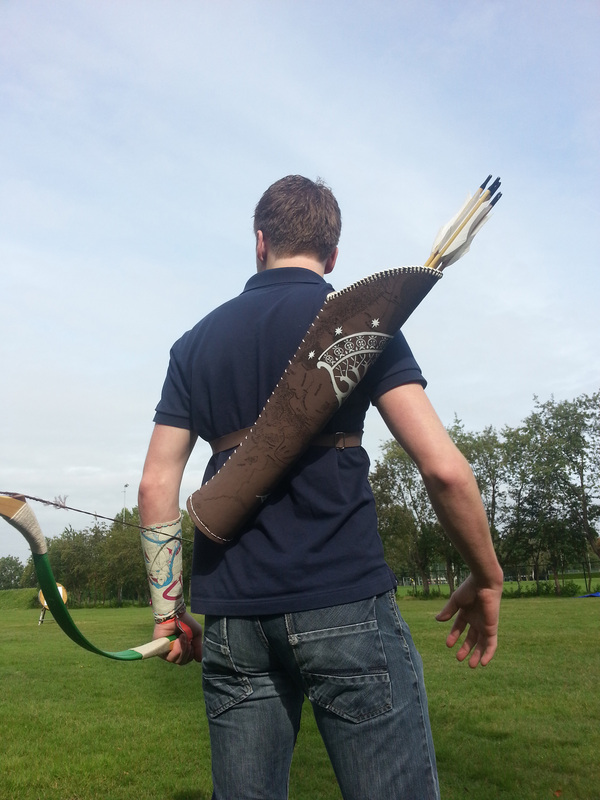 A white leather quiver with an expansion on my ‘regular’ armguard design Lacey, made for the European Champion of 2013. 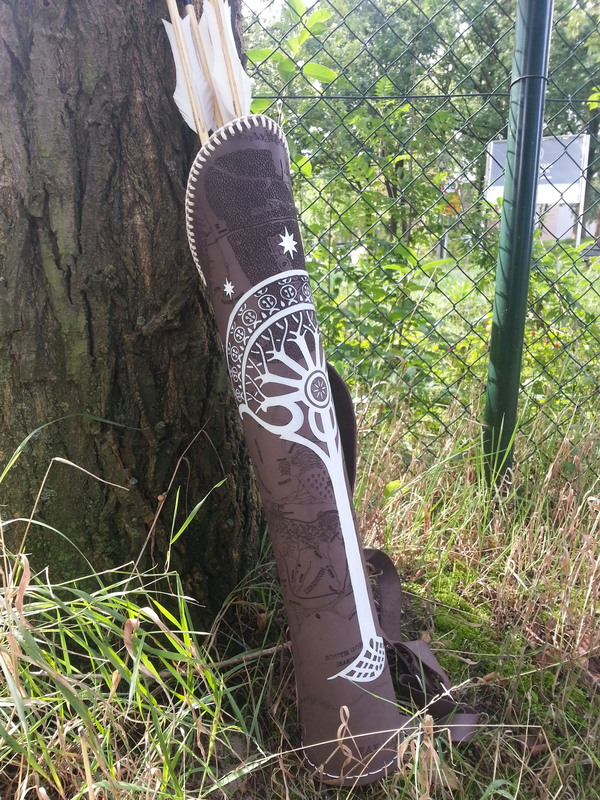 The quote on the top was her personal request, and everything was made exactly to her wishes and meassurments. 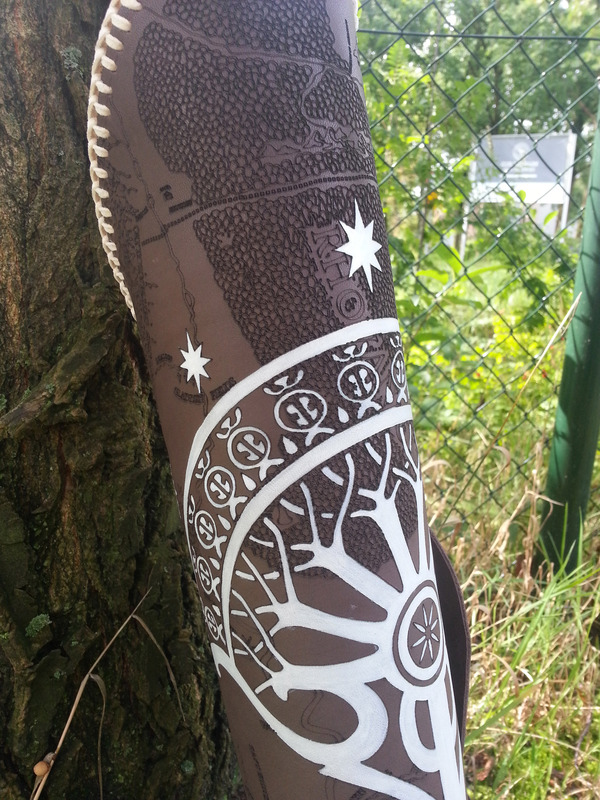 Unfortunately, I finished this piece the night before she needed it for a competition and I only got these two photo’s. 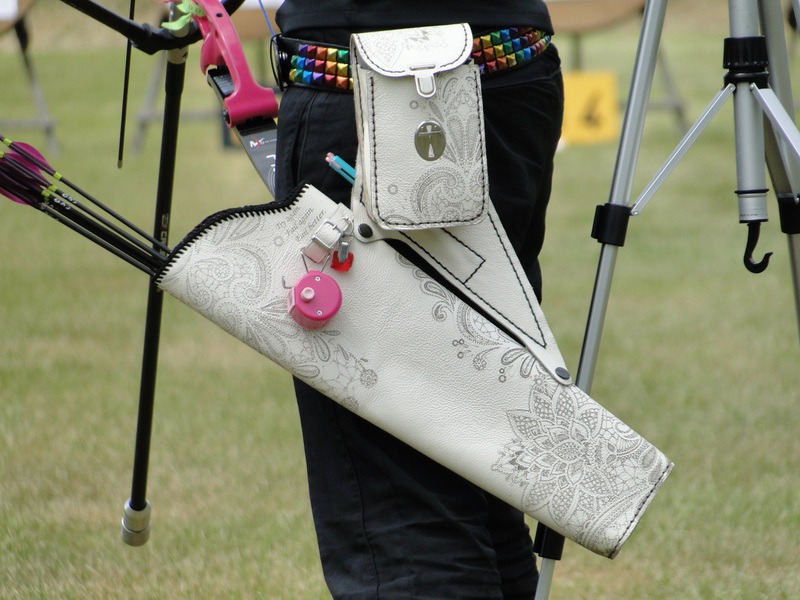 With a bit of luck I’ll be able to see her soon and shoot some more/better ones. 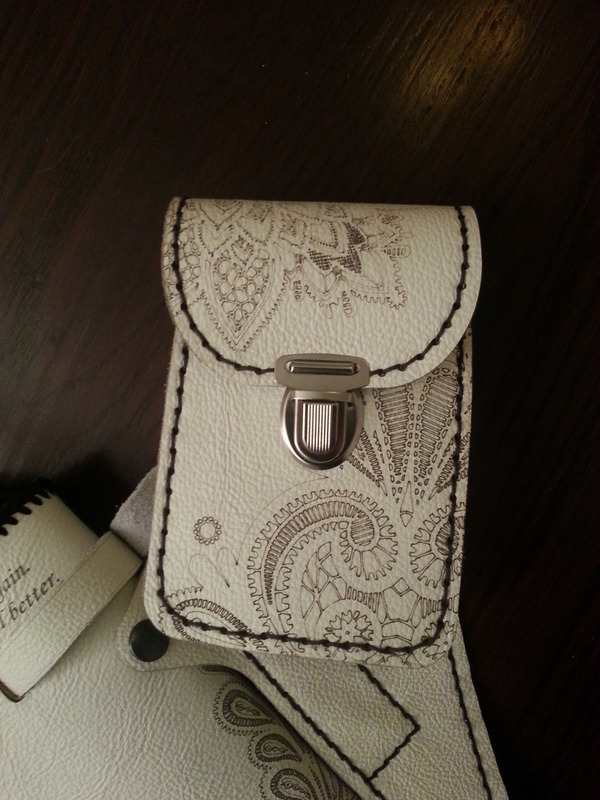 Still, I am very pleased with this one and hope to make it a regular in my shop soon!